Here is a new review for you!! Reviews help to learn more about the ease and look of a pattern before you buy it. Our reviewers are submitting honest and in depth opinions so that you can take the guess work out of purchasing a pattern. 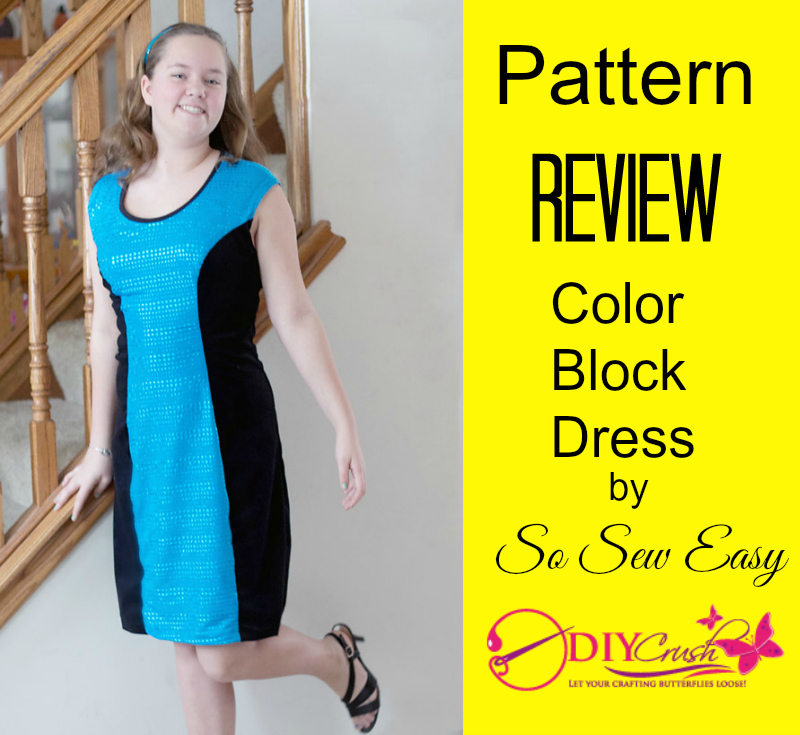 Today we are proud to have the Color Block dress from So Sew Easy reviewed by Pattern Revolution! This ladies and teenager dress sewing pattern is perfect for just about any occasion. With its scooped neckline and side panels it really flatters the body. This dress pattern can be made for many sizes. It includes how to measure for your body and it covers bust measurements from 34 to 34 and hips up to 46. We love Pattern Revolution and its own review team to present you this review! This dress looks amazing on this teenage girl, don’t you agree? And since it’s made with knit fabric, the fit is extremely comfy too. Without further ado please visit Pattern Revolution for the full review by clicking HERE! Grab your Color Block Dress Sewing Pattern for only $5.95 right HERE! It turned out beautifully. Great job!! Thanks for sharing at Motivational Monday Link Party. Thank you so much for visiting, Bethany!! We love your blog! !